Oops-8 seeder, new powder coating! Accurate visago seeder UPS-8,the Price sealc UPS-8, buy planter oops -8. 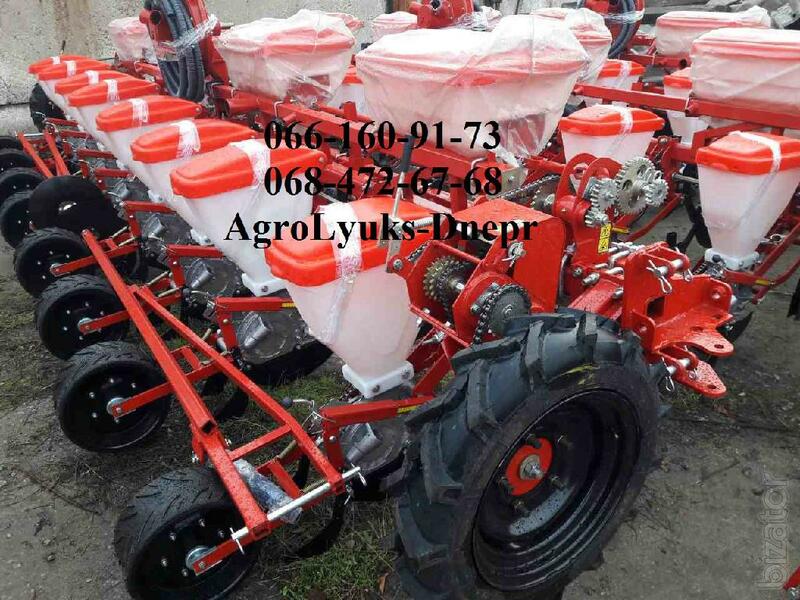 UPS/8 drill, pneumatic row crop seeder of exact seeding. Seeders model series have plastic bins. All drive shafts of grain and fertilizer sowing units are mounted on ball bearings. pneumatic is designed to streamline dotted vysielanie calibrated and non-calibrated seeds of corn, sunflower, castor beans, sorghum, soybeans, and seeds of broad beans, beans, and lupine with simultaneous, separate from seeds, introducing granulated mineral fertilizers and soil packing in the rows. It is also possible to sow uncalibrated seeds, but in this case, the accuracy will directly depend on the size and the degree of damage seed.